After releasing their new album ‘The Passage Of Existence‘ last September under critical acclaim, Florida Death Metal legends MONSTROSITY return to Europe for a full tour in May! Make sure not to miss out! 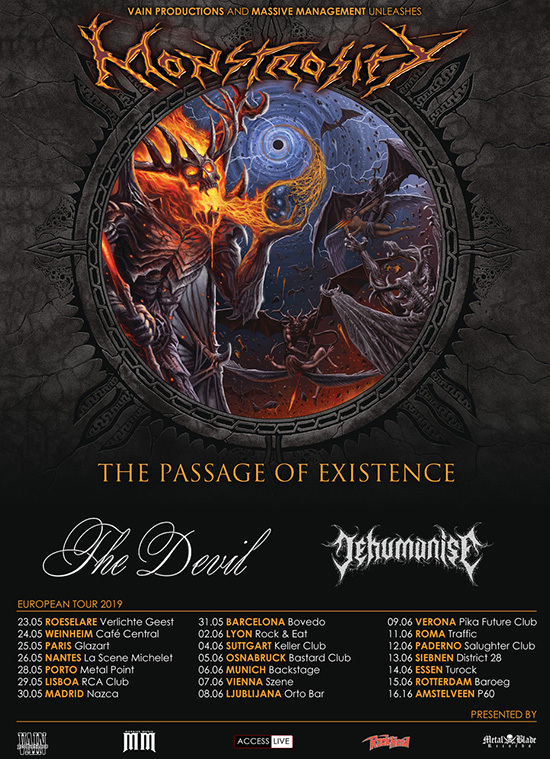 *Support comes from THE DEVIL and on the last eight shows from French Death Metallers DEHUMANIZE. Surf over to metalblade.com/monstrosity to check out music from ‘The Passage Of Existence‘. At the same location you can order CDs, vinyls and merchandise from MONSTROSITY!